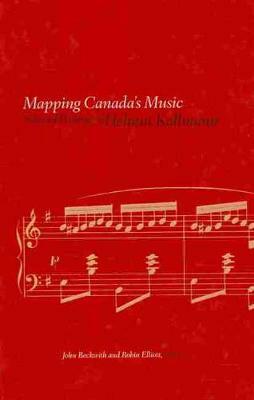 Mapping Canada's Music is a selection of writings by the late Canadian music librarian and historian Helmut Kallmann (1922a2012). Most of the essays deal with aspects of Canadian music, but some are also autobiographical, including one written during retirement in which Kallmann recalls growing up in a middle-class Jewish family in 1930s Berlin under the spectre of Nazism. Of the seventeen selected writings by Kallmann, five have never before been published; many of the others are from difficult-to-locate sources. They include critical and research essays, reports, reflections, and memoirs. Each chapter is prefaced with an introduction by the editors. Two initial chapters offer a biography of Kallmann and an assessment of his contributions to Canadian music. The variety, breadth, and scope of these writings confirm Kallmann's pioneering role in Canadian music research and the importance of his legacy to the cultural life of his adopted country. In the current climate of cuts to archival collections and services, the publication of these essays by and about a pre-eminent collector and historian serves as a timely reminder of the importance of cultural memory.